Q&A with Packing Tape Artist M..
Sculptors this season promise whimsy, color, and endless surprises in the form of a giant metal sculpture of a rock topped by a sheet of paper and bisected by red-handled scissors, a 6-foot leopard-print stiletto trimmed in red fur, or a couple of professional tennis players forged from a family’s heirloom silverware. 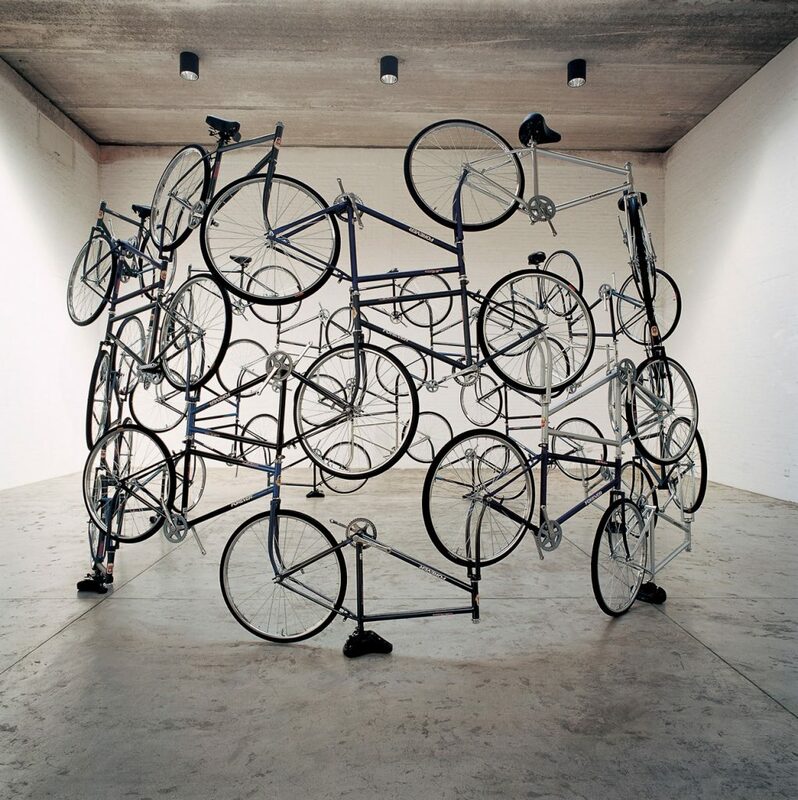 This curated list of the season’s top sculpture exhibits takes lovers of 3-D art across the country, from Theodore Gall’s fantastical bronze busts in a Beverly Hills park to Ai Weiwei’s towering installation of 42 steel bicycles at the Museum of Fine Arts in Boston. Prepare to be amused—and amazed. 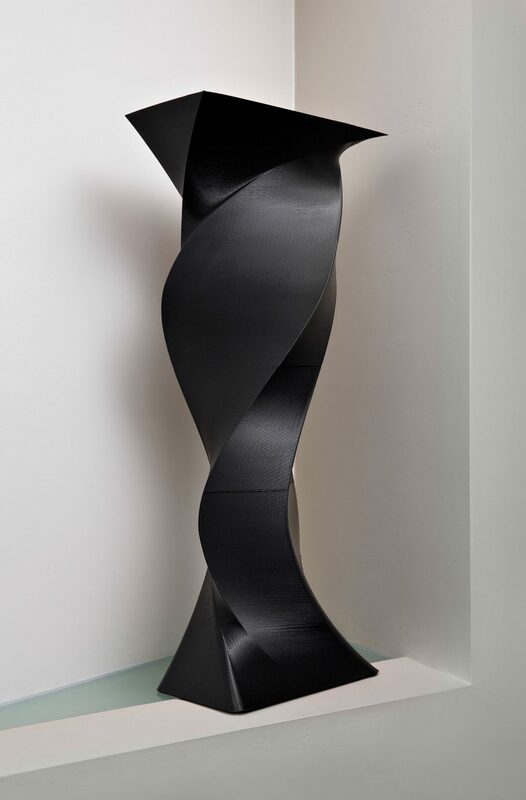 Walter Art Gallery, Scottsdale, Ariz.
Kevin Caron specializes in large 3-D-printed sculptures. A 3-D printer will run during the opening of the show, offering a close-up look at how the artist creates his vibrant resin forms. Rubin Museum of Art, New York, N.Y. This exhibit of paintings, sculptures, and installations examines the influence of Hindu mythology and Nepal’s Kathmandu Valley on P-Orridge’s work and interests in devotion and ritual. Visitors will have opportunities to interact with the artist, whose work also explores physical alteration in the service of creative gender identity. Renaissance Indian Wells Resort & Spa, Indian Wells, Calif. The newest addition to the lineup of Spectrum art shows, this Indian Wells event will feature a sleek, gallery-style exhibition space and an outdoor sculpture garden for 3-D pieces. Eric Shupe, Jim Keller, Time McClendon, and Nonos Gallery will be some of the highlights. Grounds for Sculpture, Hamilton Township, N.J.
Jae Ko creates paper-relief sculptures by soaking rolls of adding-machine paper in water infused with Japanese inks made from wood ash. 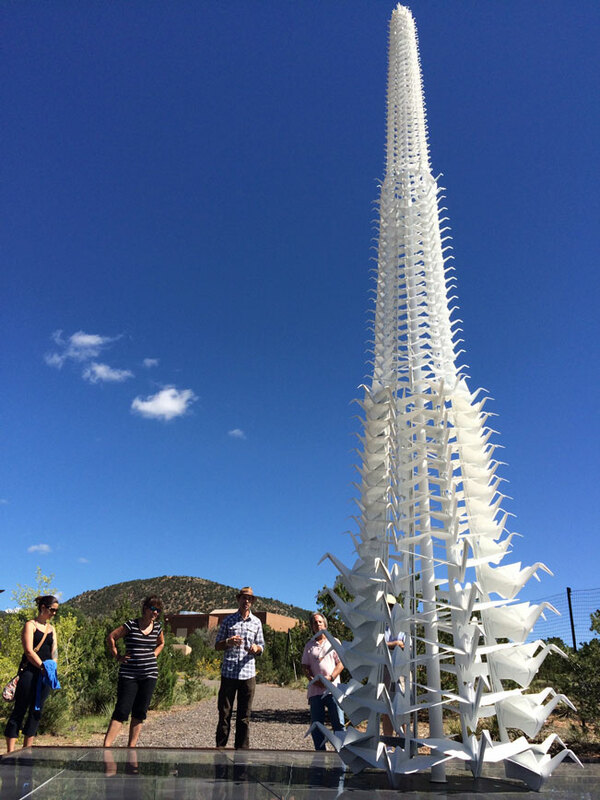 The undulating sculptures stretch to as long as 80 feet and as tall as 14 feet. 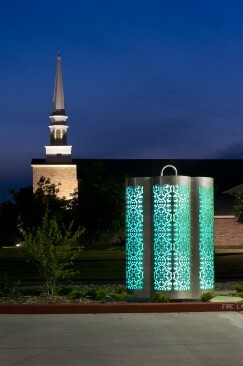 Grounds for Sculpture is also home to 270 permanent works of art. Berlin-based Georgian artist Thea Djordjadze presents sculptural ensembles using basic construction materials, such as plaster, wood, wire lath, metal rods, glass, and fabric. The site-specific installation reflects the building’s unique architecture. Representing Asian megacities with populations of more than 10 million, this exhibition features 14 large sculptures and installations. Works appear in the Ann and Graham Gund Gallery and throughout the museum’s campus. Shapiro explores geometric form through complex composition. Along with key works from Nasher’s permanent collection and an array of drawings, the show will feature multicolored shapes suspended in the gallery at various heights and angles. Beverly Gardens Park, Beverly Hills, Calif.
Near the center of Beverly Hills, Beverly Gardens Park will showcase the work of 30 sculptors. 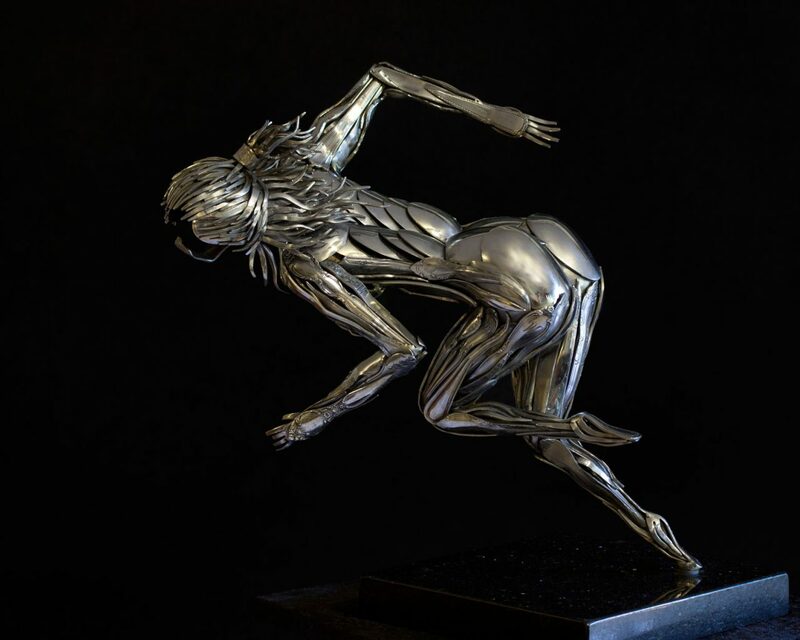 Among the highlights are Jeff Davis, who will show free-form metal geometries welded from industrial parts, and Theodore Gall, who will display bronze sculptures inspired by film and fantasy characters. Sculptor Kevin Box has created more than 20 giant metal sculptures inspired by the Japanese art of folding paper. The collection includes collaborative works with Jennifer Box, Robert J. Lang, Te Jui Fu, Michael G. LaFosse, and Richard Alexander. Benson Sculpture Garden, Loveland, Colo. This celebration showcases 2,000 pieces of sculpture created by 160 sculptors worldwide. Year-round, the Benson Sculpture Garden is home to 148 permanent pieces of sculpture displayed around a lagoon and surrounded by trees and flowers, with the Rocky Mountains in the background. ABN: Why did you choose silverware as your medium? ES: On walkabout with my father as a child, he only took jobs to which he could bring me. He’d hand me a 2-by-4 and a pocketknife and tell me to whittle. He planted the seed that developed my three-dimensional mind. Later, I went into the Air Force. When I came home, to center myself and feel calm and creative, I’d go out in my garage and fool around with silverware. I think about how many people have had those spoons and forks in their hand—thousands of people—and different stories about each one. It’s not just a piece of metal; someone raised children with those spoons. They fed someone, took care of someone. Each piece is someone’s life. ABN: How long have you been working as a professional sculptor? ES: I’ve been sculpting for 17 years. Three years ago, a woman came to my house and said, “Where did you get these sculptures? They’re amazing.” She’d been doing art shows for 30 years and hadn’t seen anything like my work. The next week, she filled out an application and brought me a tent and said, “You have something special and unique. I paid for this art show in Ormond Beach, Florida, and I want you to go to it.” I flipped out a plastic table, and I won the show. ABN: Your sculptures include everything from horses to mermaids to athletes. How do you choose your subject matter? ES: I love to capture the explosion of energy. For one piece, I watched my daughter run track over and over to see all the movement, to find the spot where you can see all the muscles on the back and the arms. I’m doing a show in Indian Wells in March, and the last two days of the show coincide with the first two days of the [BNP Paribas Open tennis tournament], so I’m sculpting two tennis players. Some people will come to me and say, “I have my grandmother’s silverware. Could you create a sculpture to pass down like a family heirloom?” One woman whose daughter had passed away inspired me to create “Mary,” a sculpture of a mother grieving the death of her child. Some people could care less about a box of spoons and forks; as sculpture, they become a powerful statement about family. 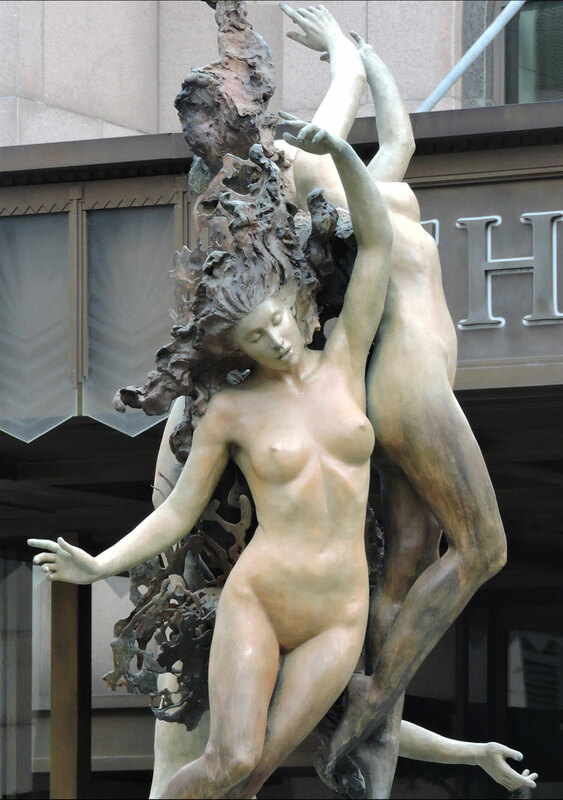 ABN: What current trends do you notice in sculpture? ES: People are gravitating toward handmade, one-of-a-kind pieces. They really appreciate being the only one in the world to have a particular piece of art. They don’t want to buy a reproduction or something that a factory has created. That’s why I find appreciation for my work: I get so many compliments from people telling me that it’s rare to find an artist who creates that one-of-a-kind, classy piece of art. ABN: Where can we see your work this season? ES: I’ll be exhibiting at Spectrum Indian Wells, March 17th to 20th; the Indian Wells Arts Festival, April 1st through 3rd; and at the Melbourne Art Festival in Melbourne, Florida, April 23rd and 24th. ABN: Why did you choose porcelain as your medium? HL: I started working in clay when I was 2. My parents were also phenomenal landscape artists; everything they did on the weekends was in the garden, and I loved to play in the mud. When I turned 10, my mother asked if I’d like to take a clay class and learn how to do pottery on the wheel. I absolutely loved my class and my teacher. When I got into Skidmore [College in Saratoga Springs, New York], I took classes in painting, drawing, jewelry making, and welding, but my favorite was ceramics. HL: In Santa Fe, 22 years ago, I wasn’t sure what I was going to do when my child was young. I started off teaching, and then I took over a friend’s space downtown near the Georgia O’Keefe Museum and opened a gallery. I’ve never looked back. It’s the most hilarious and fun job I’ve ever had. 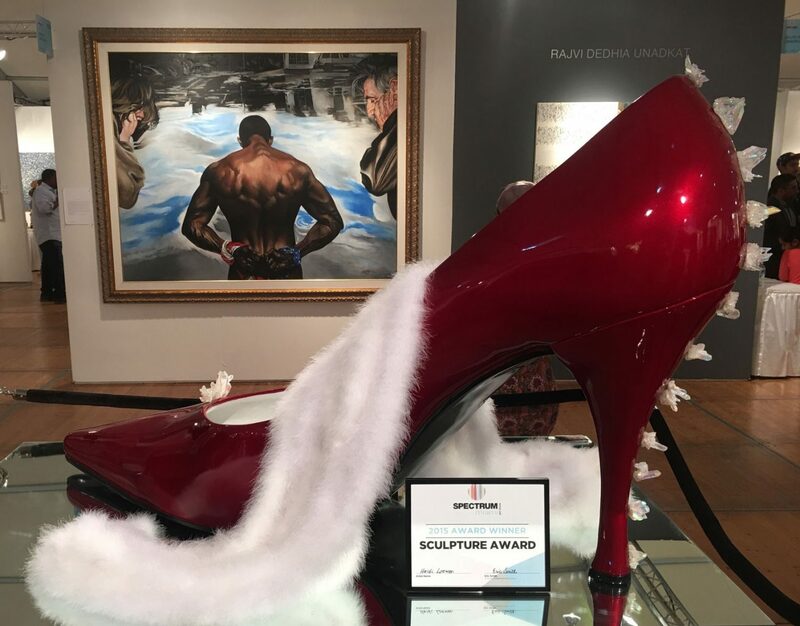 ABN: What drew you to sculpting shoes? HL: I love shoes. Stilettos mean you’re ready for fun, adventure, action, and a great time ahead. I was producing wild and crazy sculptures with my porcelain; then, several years ago, I decided I should take a break and do something fun just with my fingers. I took a small block of clay and started modeling; the first thing that came was this fabulous little stiletto shoe. I decided I’d add my love of everything—lace, fabric, fur, gemstones, feathers, and gold and silver leaf. I display them on Plexiglas cubes. The back is a mirror, and the floor is a mirror, so you can see the sole. The shoes are approximately 6 inches long and up to 12 inches tall. ABN: A much larger version of one of your shoes appeared at the entrance of Spectrum Miami last December. What was the public’s reaction? HL: I cast it in Thailand and created a 6-foot aluminum stiletto covered in sparkling, candy-apple red automotive body paint and completed the inside with white marabou feathers and opalized quartz crystal up and down the back. The thing that got me the most excited was watching people’s faces as they came down the aisle; they saw this crazy big shoe and got the biggest grins on their faces. ABN: Who are your favorite sculpture artists? How have they inspired you? HL: I love what Kevin Box has done. He has no fear, knows no boundaries. He’ll work in aluminum, in stainless steel, in bronze. For his piece “Rock, Paper, Scissors,” he uses a real rock. Native American artists will often add turquoise or coral or various kinds of bones. I love it when people do anything out of the ordinary. HL: I have a gallery in Santa Fe where I show my work and offer private ceramic wheel work and sculpture classes. My only requirements are that people have a sense of humor and say only wonderful, uplifting things about their own work. IR: I’ve been sculpting since age 5 [and] professionally since age 15. I’m self-taught. At 21, I began collaborating with Art Deco artist and designer Erté. 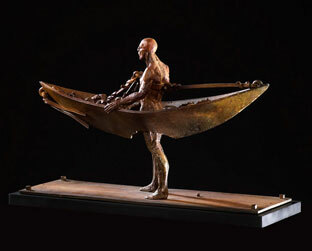 I transformed 69 of his two-dimensional designs into bronze sculptures and turned them into the Erté Sculpture Collections, pieces of which appear in the permanent collections of the Metropolitan Museum of Art and the Smithsonian. 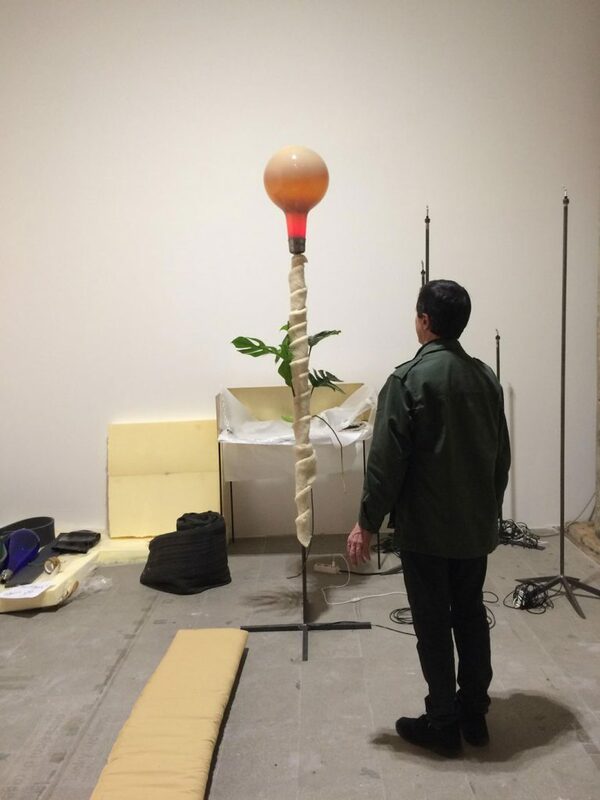 ABN: Much of your work explores mythological figures, such as “The Three Graces,” a trio of larger-than-life figures that you combined into one 8½-foot-tall piece and unveiled at the Peninsula Shanghai last October. What draws you to sculpt heroic-sized characters from mythology? IR: I discovered my own voice in the year 2000 through loss; my parents had passed away and a long-term relationship had ended. For the first time, I was completely alone. It was a devastating experience; I found myself completely broken open as a person and as an artist. Through my work, I was able to heal my soul. My work is a spiritual statement; I’m really sculpting the spirit of the ascendant human form. The unveiling was astonishing; my gallery representors stood on one side of a 20-foot curtain covering the sculpture, and I was on the other side with my publisher. A beautiful opera singer from Shanghai sang a piece from Madama Butterfly before the curtain came down. The moment remains frozen in my mind as an example of aesthetic purity. IR: We’re doing more one-of-a-kind pieces; with our editions limited to nine pieces, they become more valuable and desirable to collectors who want to buy something that has worth as an investment. ABN: What project are you currently working on? IR: It’s the largest thing I’ve ever done, called “The Gates of Creation,” with 11 30-foot-tall figures. I use beauty as a metaphor for divinity. I have places in my sculpture that are extremely refined and smooth, which represent perfection of the soul and, in the same piece, places that are raw, showing the more elemental state we come from as human beings. For an artist to have his dreams and visions realized in bronze [is] an amazing feeling. IR: You can see my work at the Marcus Ashley Fine Art Gallery in Lake Tahoe, California, and at Midtown Artery in Greenville, South Carolina. Melissa Hart teaches nonfiction for Whidbey Island’s MFA Program in Creative Writing. She’s the author of two memoirs and a children’s novel. melissahart.com.